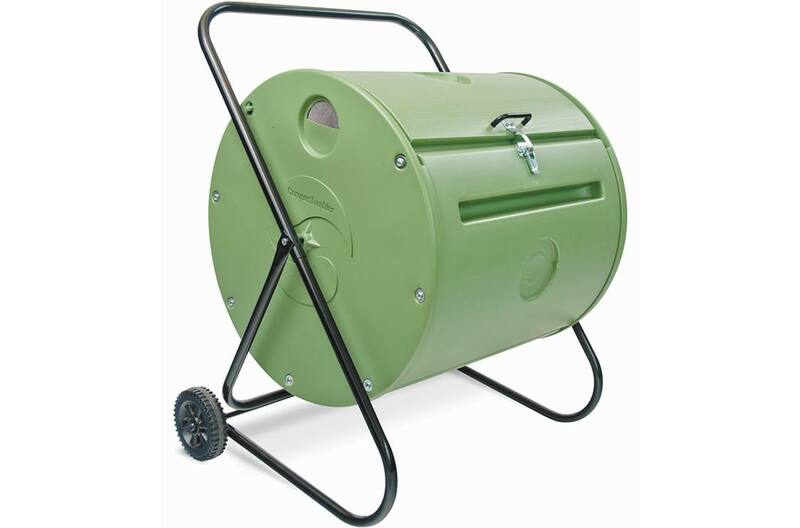 The Back Porch ComposTumbler is the small composter developed for urban composting and backyard use and makes compost in as little as 4-6 weeks*. You don’t need a lot of environment to be environmentally friendly. 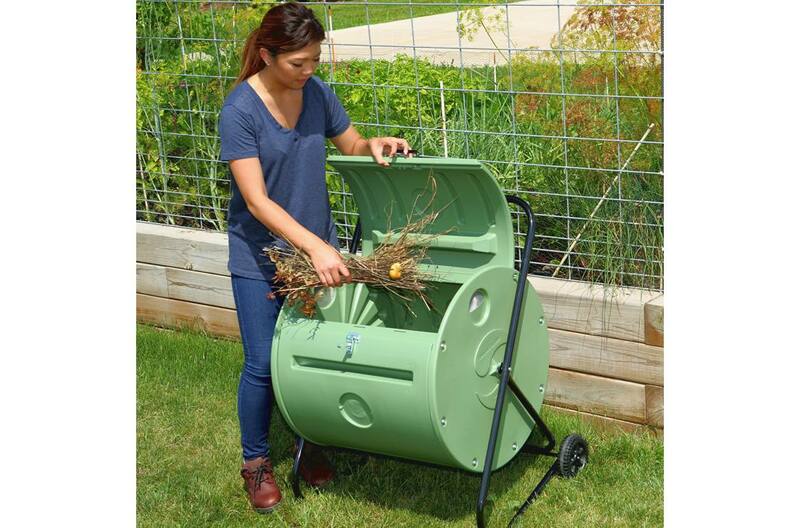 Mantis has expanded the world of composting to gardeners with smaller yards. The mobile design includes two wheels for easy and lightweight transport. Holds 4 bushels. • Wheel finished compost to flower beds and garden areas. • Vented end caps permit proper air flow and drainage. • Door latches securely to contain odors and keep rodents out. 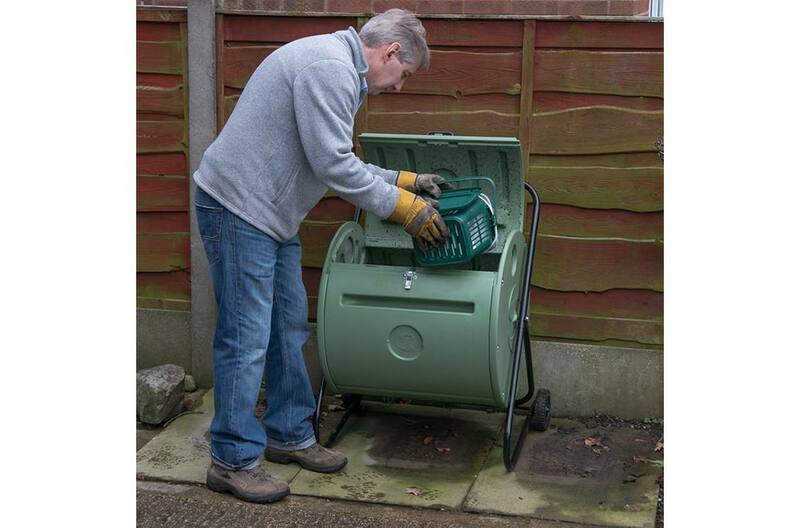 • Easy-grip grooves make it simple to rotate the compost drum. 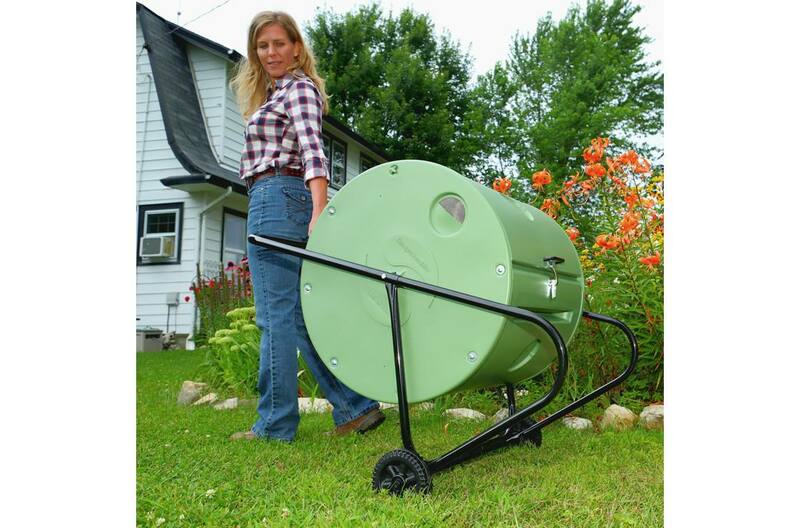 Convenient Wheels: Take your composter directly to the garden and flower beds – just tip it back and wheel it wherever you need. Turning grooves: Rotating your Back Porch ComposTumbler is easy – just take hold of a groove and turn the composting drum. Aerator/drainage unit on the bottom combined with screened vents on each side: Balances air intake and moisture levels, also eliminating spillage. Aeration vent permits drainage of excess moisture, known as ‘compost tea’. 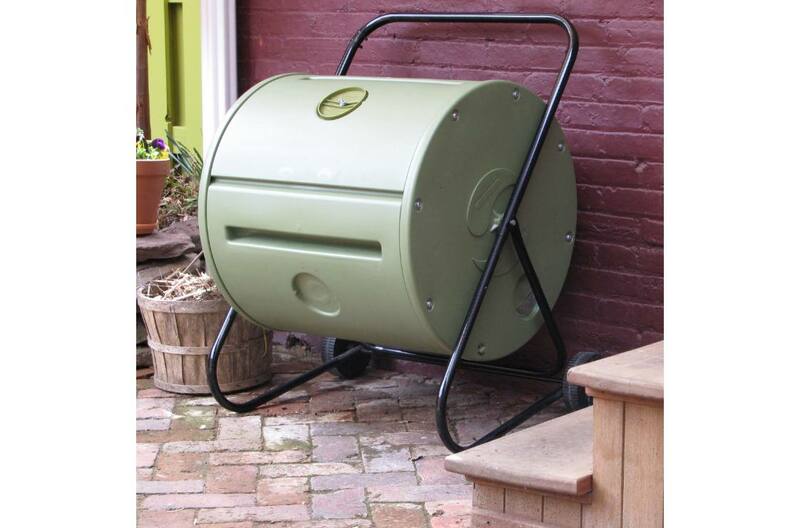 Removable door: Makes adding materials to the composter even easier. Contains up to 4 bushels of materials: As much high quality compost as you need for small garden spaces and potted plants. Drum Materials: Double-wall, high density polyethylene with insulating air cell. BPA-free, food grade plastic end caps.